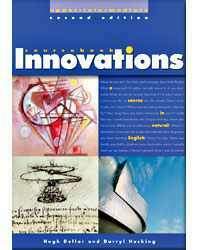 INNOVATIONS is a new four-level general English course for classes looking for new material with a fresh approach. Based on a language-rich, lexical/grammatical syllabus, it starts from the kinds of natural conversations that learners want to have. - Presents and practises hundreds of natural expressions that are immediately useful in practical situations. - Motivates learners by presenting interesting and unusual texts. - Emphasizes sound-chunking and oral fluency. - Covers productive and receptive pronunciation work. - Includes built-in learner training pages that include tips and advice. - Teaches many aspects of grammar and spoken language not found in other coursebooks. - Contains 20 stimulating six-page units, review units, and grammar commentary.